PCS's manufacturing division, Wintronics, manufactures all of PCS's products and also provides contract manufacturing to other clients. Wintronics offers a complete partnership experience beyond the typical contract manufacturing relationship. Services including initial design assistance, design reviews for ease of manufacturing, and rapid prototype capability can transform a product from an idea to full production quickly and efficiently. Wintronics has experience in high volume, military qualified products and understands all the requirements those products must undergo to satisfy the most stringent specifications. Their continually trained and experienced staff, in combination with the scope of their assembly equipment, results in an extensive capability to provide a full range of through hole to mixed technology to fine pitch, double-sided, SMT PCB assembly. They can provide a critical design review before time and money are spent at the lab. Also, Wintronics can design custom end-of-line test equipment to ensure your product is 100% tested and burned-in before it is shipped to your customer. Wintronics is a full service, ISO 9001 certified, electronic and electromechanical contract manufacturer supporting customers in both commercial and industrial markets. 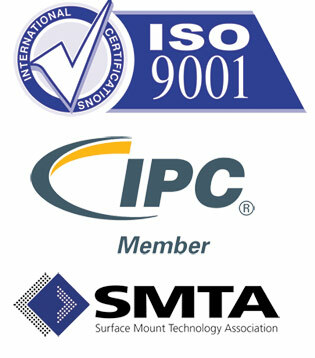 Wintronics is a full service, ISO 9001 certified, electronic and electromechanical contract manufacturer supporting customers in both commercial and industrial markets. The Wintronics goal is to earn the customer's respect as an extension of their process, their performance standards, their company. Located in Sharon, PA, Wintronics occupies an ESD compliant facility, strategically located just a few miles off Interstate 80 and within an hour's drive of Pittsburgh, Cleveland, or Youngstown, OH airports.